Informant America: Rick Wershe’s civil rights: Who will investigate the system? Rick Wershe’s civil rights: Who will investigate the system? The Michigan criminal justice system takes a back seat to no state when it comes to injustice and unequal punishment. Paroles from Michigan's prisons are capricious and arbitrary and no one is held accountable. The results are not only unfair, they are occasionally deadly. One of the fundamental tools of investigative reporting is known as compare and contrast. When you find that something isn’t right in the way some unit of government is operating you compare it to other units of local government or government operations in another state and you contrast it with how the fishy local department or agency is doing business. The Detroit newspapers carried a story this past week about the search for a Michigan parolee suspected of suffocating his girlfriend in Pontiac and then stuffing her body in a closet. The woman's mother found her body. Kevin Jermaine Wiley, 34, is wanted for murder in the death of 30-year old Marie Elizabeth Colburn. 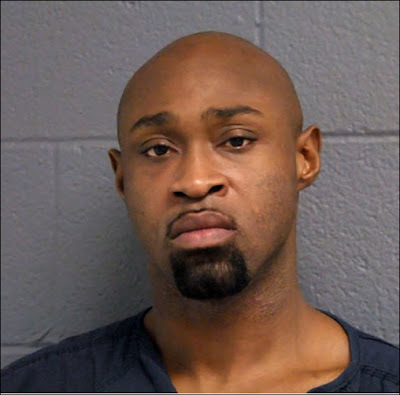 Investigators say Wiley had been wearing a tether as a condition of his parole but he apparently cut the tether off his ankle somewhere in Detroit. Wiley was on parole for a 2004 homicide/manslaughter conviction in Wayne County and a home invasion conviction in 2012. Now he’s on the run, wanted for murder. There is no indication that the Wayne County Prosecutor’s office objected to Wiley’s release on parole. The fact is, since Rick Wershe was sent to prison in 1988 thousands of inmates have been released on parole, including murderers, rapists and child molesters. It would be interesting to know how many parole cases there have been where the Wayne County prosecutor has objected to the inmate’s release on parole. Now let’s compare and contrast this to the actions of Wayne County Prosecutor Kym Worthy in the case of Richard J. Wershe, Jr.—in prison for 28 years as part of a life term for a non-violent drug conviction from an arrest when he was 17-years old. Kym Worthy has fought all the way to the Michigan Supreme Court to keep Wershe in prison, apparently until he dies. Wayne County Circuit Court judge Dana Hathaway, noting changes in the laws, indicated late last summer she intended to re-sentence Rick Wershe under the revised laws. Under the sentencing guidelines his new sentence would amount to time served and Wershe would be out from under the living death of a life sentence. The Wayne County Prosecutor threw a legal fit and said Wershe was sentenced to life in prison under a law that was valid at the time, and therefore he should remain in prison for life. Ms. Worthy fought the Wershe re-sentencing to the Michigan Court of Appeals. That fight was led by assistant prosecutor Timothy Baughman, known as an appellate court wizard, who just barely escaped prosecution some years ago for advising and counseling another assistant prosecutor on how to get away with using perjured testimony—a felony—in another drug case. The other assistant prosecutor was prosecuted. Mr. Baughman skated. Mr. Baughman is something of an appellate rock star in Michigan legal circles and U.S. legal history shows stars of any kind are seldom prosecuted and almost never convicted. The Michigan Court of Appeals, not wanting to appear soft on crime in the case of a “drug lord” and “kingpin”, reversed Judge Hathaway regarding the Wershe case on a technicality. 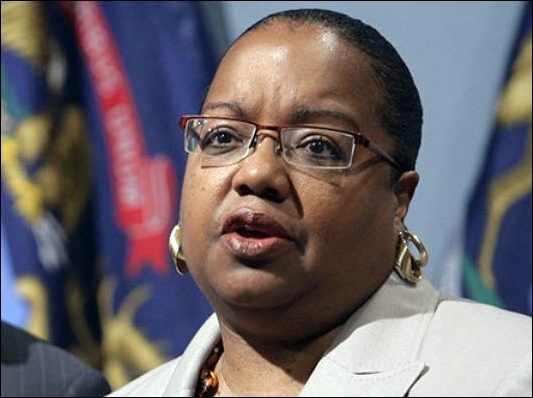 Wershe’s defense took the fight to the Michigan Supreme Court where Kym Worthy has wasted more staff time, which is another way of saying she has wasted taxpayer money, fighting the re-sentencing yet again. The case is now before the Michigan Supreme Court awaiting a decision. That court has sent the better part of a hundred cases back to the lower courts for the trial judge’s sentence evaluation under a case known as People v. Lockridge. The Wershe case fits precisely the guidelines the Michigan Supreme Court is using in the “Lockridge” cases that are being sent back to the trial courts for reconsideration. Eventually they will make a decision in the Wershe case. Under Lockridge, Wershe should be eligible to be re-sentenced by Judge Hathway. If the Supreme Court rules otherwise, something is fishy. It’s not just Kym Worthy who is fighting Rick Wershe’s parole. Michigan Attorney General Bill Schuette, an ambitious politician with dreams of becoming the state’s next governor, has fought against Wershe in a federal lawsuit claiming his civil rights have been violated for the Michigan Parole Board’s repeated refusal to fairly consider him for parole. Schuette’s legal brief opposing Wershe’s federal lawsuit is an embarrassment, or ought to be. It cites a federal case involving suppressors, commonly known to the public as silencers. Schuette’s legal brief in opposition to the federal civil rights suit says Rick Wershe was convicted of possessing silencers. Trouble is, Schuette has the wrong Wershe. That case involved Richard Wershe SENIOR, the father of Richard Wershe JUNIOR. The late senior Wershe was a licensed gun dealer but he ran afoul of the law for having a batch of unregistered suppressors. Owning or possessing a suppressor is not illegal—as long as you acquire the proper permit and pay the appropriate federal fee. Suppressors are openly available for purchase online to firearms enthusiasts. Schuette’s argument against Rick Wershe Jr. also relies on a 2003 letter to the Michigan Parole Board purportedly written by then-Wayne County Prosecutor Mike Duggan, who is now the mayor of Detroit. That letter makes wild claims about Rick Wershe being a leader of a murderous gang, a drug lord and basically a criminal of the worst order who deserves to remain in jail until he dies. Deadline Detroit an online news site, posted a piece this past week citing a documentary about Rick Wershe that is in production, in which Johnnie or Johnny Curry says in an on-camera interview that Rick Wershe was never a major drug dealer. Curry, who truly was one of Detroit’s major dope slingers of the 1980s uses a 1-to-10 scale to compare himself to Rick Wershe. Curry says if he were a 10 Wershe was a 2 and says “they” made Wershe way bigger than he was. Deadline Detroit’s Allan Lengal writes, “Kym Worthy has created something in her head -- likely fueled by false information from those in law enforcement who resented Wershe helping the FBI bust cops -- that Wershe was a kingpin then and remains a monster today, 28 years after he was taken off the streets as a teenager.” The headline of the article suggests Worthy may wind up looking foolish. That is putting it mildly. At this point it is appropriate to explain the highlights of the Rick Wershe, Jr. story. Wershe was recruited at age 14 by the FBI to become a paid informant against the Curry gang because they lived in the same neighborhood and the Currys trusted Wershe as Ricky from the ‘hood. Wershe did a good job as an informant and also told the FBI about drug corruption among powerful, politically-connected Detroit cops. When a federal drug task force got what it needed from Wershe, they dropped him at about age 16 to fend for himself. By now he was a school dropout from a dysfunctional family. He turned to the trade the narcs taught him. He tried to become a dope wholesaler and got caught and sent to prison for life. There are strong reasons to believe his informing on corrupt cops and then-Mayor Coleman Young’s brother-in-law, the late Willie Volsan, earned him powerful enemies for life. There appears to be a vendetta to keep Wershe in prison at all costs and that vendetta is being aided and abetted by Prosecutor Worthy, Attorney General Schuette and others we don’t know about who wield a lot of political clout. As Ralph Musilli, Wershe’s appeals attorney has said on several occasions, Rick Wershe told on the wrong people; corrupt members of the political system who have real power. Wershe has never been convicted of any violent crime. He’s never been named in any other drug case as a defendant or co-conspirator. His name has never come up in any other drug case. Those are odd facts about a so-called drug lord. His prison behavior record is exemplary. One of the administrators at the Oaks Correctional Facility where he is serving his time told me Wershe is close to what people would call a “model” prisoner. Yet the Michigan Parole Board refuses to grant him a parole. The Wayne County Prosecutor is obviously willing to spend countless taxpayer dollars battling in the courts to keep him in prison. Ditto for Michigan Attorney General Bill Schuette's waste of state tax dollars. 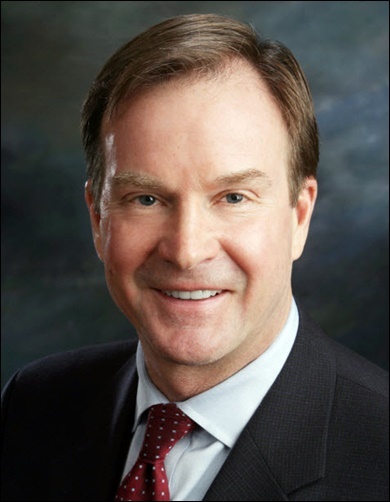 Schuette is still fighting in federal court in Grand Rapids to keep Wershe locked up. The outrage in all this is the fact prosecutors and attorneys general can get away with ruining someone’s life with impunity. They face no consequences when they engage in outrageous, vindictive prosecution based on perjured testimony and falsified police records. They face no consequences. Oh, sure, some inmate may get lucky and get a judge to allow him or her to sue for violation of their Constitutional right against cruel and unusual punishment. Even so, if that defendant wins a monetary judgment, it is the taxpayer who will foot the bill for blatant violation of the law by the people charged with upholding it. Prosecutors enjoy limitless immunity when they break the law, in Michigan and in every state. That won’t change unless the people demand it. If, by some chance, the voters demanded that prosecutors and cops have some personal liability for false and malicious prosecution and outrageous abuse of the criminal justice system you can be sure they would scream bloody murder as a group. They would holler that holding them personally accountable for damages would put a chill, A CHILL! on law and order. Funny, but it seems the chill is already there. Just ask Rick Wershe.